Another pattern furniture theme developers Joomlaplates. It is made ​​in bright colors, so suitable for both sites with antique furniture, and for sites with conventional furniture. 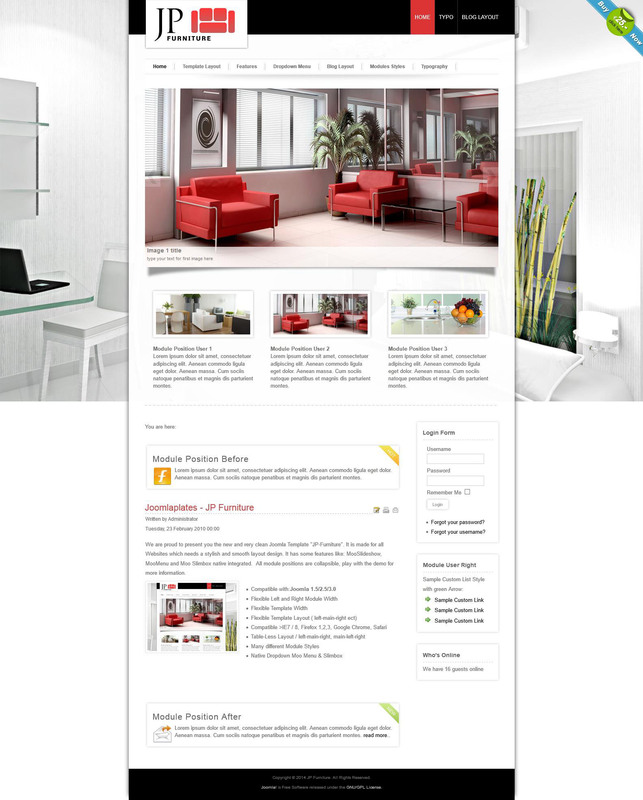 Furniture JP , so called template, customizable and perfect for websites of any complexity. It was created by modern Web - standards and enables quick opening menu image display with effects. It has the following advantages - high speed downloadable pages on the site, a flexible modular design. The template has a mobile version and a standard version that allows you to browse the site and from the tablet. It works with all browsers.